Cast: Brittany Shaw, Don McManus, Cara Pifko. 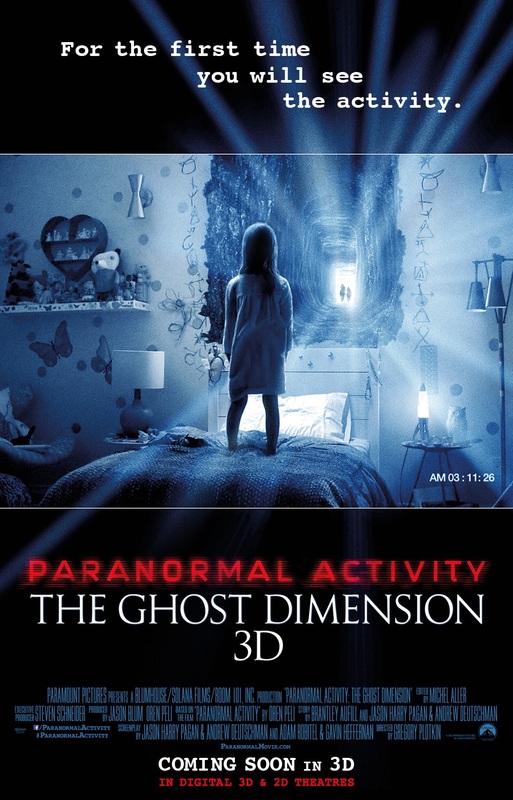 If you find yourself sitting in the 6th installment of the Paranormal Activity series, you probably have some sort of lingering affection for the franchise or just needed someplace cool and dark to sit down. In all seriousness, I’m the type of person who likes to follow through and see how things end. This is supposed to be the last entry in the series and they’ve thrown in some tweaks that kind of goes against what made the series impressive in the first place. The ghost camera is a neat idea but it just kind of throws out any subtly about the things that go bump in the night. Instead we get to see everything coming from a mile away leaving very little to the imagination. A few jump scares here and there don’t really make up for it. Doesn’t help that the last act of the film starts mining just about every possession and creepy little girl horror movie trope you can think of. It’s a sputtering end to the series. By the time the finale comes, you can’t help but feel like you’ve watched this all before. Good review. I stopped watching after the first one LOL.